With the release of the newest module of Dungeons & Dragons Online: Stormreach. 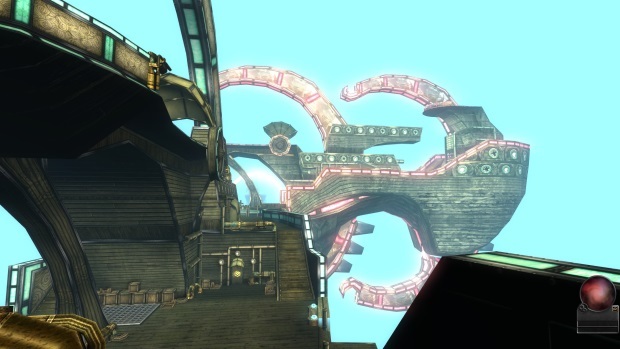 Old and new players would get a whole new experience from the various changes within the DDO universe. We here on Onrpg got the chance to talk to Kate Paiz, senior producer of DDO to get the scoop with whats up in the latest update of the game. Onrpg: What would players of DDO expect from Module 8: Prisoners of Prophecy? Kate Paiz: Module 8: Prisoners of Prophecy brings four new features to players. The first is a new Character Generation, where players will now have a much more guided experience in selecting their initial skills and abilities for their character. This guided experience will last throughout the characters lifecycle, if the player chooses to keep their character on one of the three defined paths available to that class. We also created a new tutorial and new player experience for Module 8. Players will now start shipwrecked on a beach , after their ship to Stormreach was attacked by a white dragon. Players must help the villagers of Korthos Island repel the invasion of Sahuagin marauders and the arctic frost brought by the white dragon to complete the adventure series and catch a new ship to Stormreach. For high level players, we also have a new Level 17 content module, the Reavers Reach. Players must join forces with their old adversary the Stormreaver to prevent a newly undead Sorjek from creating an army of undead dragons. Four high level dungeons and landscapes give the player an opportunity to travel to frozen reaches, an ancient forest, a tainted jungle, and a volcanic area filled with paragon kobolds. Last, but certainly not least, we are introducing the Hirelings system. Hirelings are NPCs that can be hired to join a players party and who fight by their side in a very similar manner to other players. Hirelings can die and be resurrected, have appropriate abilities per their class, and can be controlled by the player through a UI bar. Onrpg: The biggest upgrade the Prisoners of Prophecy introduced would be the Hireling system, how would this new feature help the DDO experience? Kate Paiz: Hirelings are NPC combatants that can be hired in game at special vendors. Each contract lasts for 1 hour, and a summoned hireling will stay with the player until they exit the adventure they are playing. Hirelings will not abandon a player if their contract time runs out, but will only leave the party after their contract expires and they are in a public instance. Each player is permitted to bring one Hireling with them into an adventure, which will really help small parties and solo players take down difficult challenges. In Module 8, players will be able to hire the following classes: Clerics, Paladins, Barbarians, Fighters, and maybe Wizards and Sorcerers. Players can control what their hirelings do through a Pet Bar, and each hireling has its own personality, which may result in them taking initiative from time to time. Onrpg: How will the hirelings affect the party system in DDO? Kate Paiz: Hirelings will help players who do not already have a full party available to play. We expect pick-up groups to still be popular, but groups will no longer need to wait on a cleric – instead, they can just hire one. It will also enable players who login and find that none of their friends or guildmates are on to hire a friend and play through less challenging adventures in a small party. Onrpg: The character creation and customization feature also altered in Module 8, what was the reason behind the change? Kate Paiz: We have gotten a lot of feedback that our previous character generation was great for people who were familiar with the D&D 3.5 rulesset, but was harder to navigate for those who were MMO players unfamiliar with D&D or 1st or 2nd Edition D&D players. We wanted to find a new way of creating character that would appeal to all of our players, while still allowing the deep customization that many players love. Onrpg: What storyline updates will we see this time around? Kate Paiz: Were continuing two storylines from previous modules. Module 4, the Reavers Bane, introduced the Stormreaver as a Raid Boss that players were trying to defeat to prevent him from setting off a cataclysmic explosion. In that module, the Dragons of Argonessen were reacting to an ancient prophecy that foretold of the Truthful Ones plans for the destruction of Xendrik. 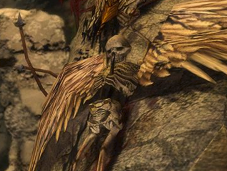 The giant Sorjek was also a Raid boss in the Raid at launch, Tempest Spine, and has been reborn as an undead Lich by the truthful one since the Stormreaver has switched sides to join with the Argonessen Dragons. Sorjek is very angry at having been killed by the players once, and is eager for his revenge. Onrpg: How will the new storyline in Prisoners of Prophecy connect with the pre-existing storyline from Module 7: The Way of the Monk? Kate Paiz: It doesnt. Module 7 picked up with Module 6 storyline of the invasion og Xendrik by the Devils of Shavarath. Module 9 will return to that storyline, but we felt after two modules and three raids that players could use a break from Devils for a time. Module 9 will take the players to Shavarath and allow them to fight the Devils on their own turf, and work with the other denizens of the Plane of Battle, the Archons and Demons, against the common foe. Onrpg: What was the overall support you get from players when you released Prisoners of Prophecy? Kate Paiz: Great. Players really like the new character generation and starting adventure area, and the live events that we have been running to introduce the Hireling system and get feedback from players have gone really well. The Stormreaver casts one of his iconic spells on players in his hideaway, and players have been having a great time flying around the public zone and practicing their acrobatics. Onrpg: Is there a possibility that players will get to see another live event unfolding in DDO like the one that happened in the marketplace prior the explosion? Kate Paiz: Absolutely, but we have no plans to announce at this time. We loved making the Market Tent event, and player reaction was so great. We are working on new storylines that will enable us to more of those sorts of things in the future, and players will hear more about as those come to fruition. Onrpg: Can you tell the players whats in store for DDO in module 9? Kate Paiz: Module 9 will open up Sharavarath, the Plane of Battle, to players. They can travel there, with the help of some friendly Yugoloths, and work with the Archons and the Demons to end the aggression of the Devils against Xendrik. The devils have obtained an advantage in their eternal war with the Archons and Demons, and the other factions are eager to restore the balance. Module 9 will also increase the level cap to level 20, which will enable players to take the last four levels of the core D&D level set. New spells, like Mordenkainens Disjunction, and new abilities will be available.